Of the prostate cancer treatments available, your doctor will recommend the treatment option that is best for you. The decision will depend on your overall health and how far advanced your cancer is. If the treatment recommended for you is not something you're comfortable with, for instance you may not be comfortable with external beam radiation therapy; you can give your doctor your opinion. It's important that you are at ease with the decision. Discuss it with your family as well, particularly the possible side effects and cure rate. Oncologists specialize in certain fields. The one you are referred to will be a specialist in the treatment prescribed for you. The first strategy in most treatment plans is watching and waiting. The signs and symptoms that may indicate prostate cancer are also indications of other problems such as an infection in or close to your prostate. Watching and waiting is to determine which condition your symptoms are from. During this period, blood samples will be tested for PSA levels and tissue samples may be sent for a biopsy.Elevated levels of the prostate specific antigen may point to a less serious medical problem. This is why a tissue sample may be taken; to verify or to rule out the presence of cancer. Remember that early treatment usually has a better possibility of cure. Men who are the best candidates for prostate cancer surgery are the ones most likely to achieve a successful recovery from the procedure. These are men with good overall health and who do not have secondary conditions that may interfere with recovery like heart problems. Surgery can lead to some serious side effects including incontinence and impotence. There are 3 different types of radiation therapies. External beam therapy is typically a stream of X-rays aimed at your pelvis from a device outside the body. The X-rays burn away cancer cells through repeated treatments over several weeks. An alternative external beam therapy is Proton Beam Therapy. Instead of using X-rays, protons, which are charged particles or ions, are streamed at your pelvis, again from a device outside your body. 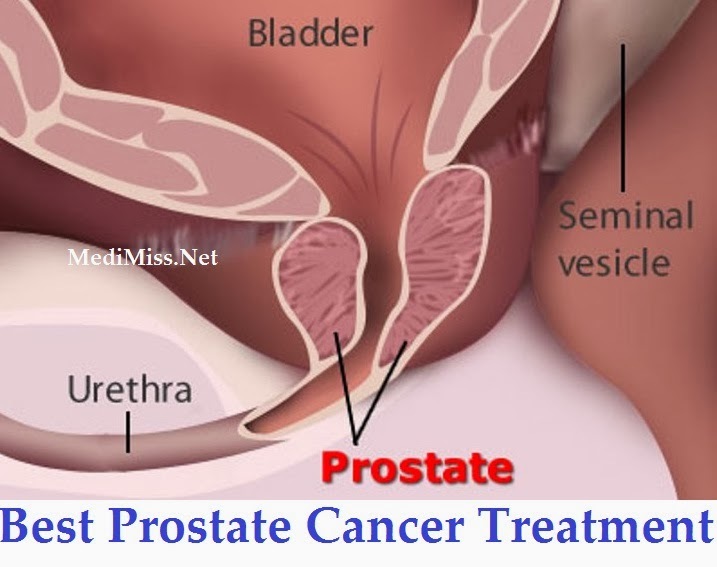 Brachytherapy is the introduction of several radioactive seeds directly into your prostate. They are implanted with a series of injections while you are under a general anesthetic. All of the radiation treatments above work on the principle of burning cancer cells away with high energy particles. Radiation treatment can take place over time, and is subject to the same side effects as surgery. Hormone therapy is a method of chemical treatment that seeks to alter your hormone levels to halt or slow the growth of cancer cells. This procedure is temporary because most patients develop a resistance to the effectiveness of the injections after about 2 years. Hormone therapy is not a cure and is usually recommended when the patient has a higher stage (T-3 or T-4) of prostate cancer. The idea is to prolong the patient's life and slow the cancer's growth. Cryotherapy is a procedure where, during surgery, your prostate is frozen and then thawed to destroy cancer cells. High Intensity Focused Ultrasound uses focused ultrasound to heat and evaporate diseased tissue out of your prostate. The device is aimed using an MRI scan and targeted tissue is heated to 80°C. The result is tissue that can no longer reproduce and so cannot grow any further. Healthy tissue is spared because the effective area of the ultrasound pulse is very small and only a few cubic mm at a time can be targeted. It is done on an out-patient basis and does not affect the quality of life that some of the other treatments do. HIFU also results in fewer significant side effects than surgery or radiation. HIFU for prostate cancer is highly effective and can often be used for recurrent cancer. This is not an option, however, once the cancer has spread beyond the prostate.